Timeouts for or against kids? Let’s explore! Time outs are one of the most popular disciplinary tools for parents. They can be a great way to let kids know when their behavior is unacceptable without escalating the situation. But, like any other tool, time outs need to be used correctly if you want them to be effective. If you’ve tried using time outs and your child doesn’t seem to be getting the message, it might be time to review how (and why) they are not working. There are different schools of thought about the best way to deploy them, but whichever you choose, using time outs consistently can help kids understand which behaviors are appropriate. Time and again, researches have shown that the most effective form of parenting is both warm and firm. That means a lot of affection and positive feedback for kids but at the same time consistent consequences when they act inappropriately. Time outs help you communicate to the child that a particular behavior is unacceptable in a calm way. And unlike emotional confrontations, time outs give both parties a chance to calm down. The point of a time out is not to punish your child but to diffuse an emotional situation, to help your child switch gears and learn to manage frustration and regulate his own behavior. Whether it is your first attempt at using this method of discipline, or you have tried and been unsuccessful in the past, these pointers will help make time outs for kids effective. How to use time outs for kids? The first step in making time outs work is choosing a suitable area. A good time out spot should be reasonably convenient and in a location where you can monitor it to make sure your child is not being hurt. You can use a chair or stool, or any seat that works. If you want to make it more interesting, give a name to the chair or space, such as the “thinking chair” or the “quiet zone.” Just make sure the area is boring and away from the distractions of other siblings, the television, toys, or objects she could use to irritate you. When you and your child, both are in a good mood, show them the spot and explain what it is: a quiet place where they will go if they did not behave and obey certain rules or if they need to calm down. Choose three to five types of misbehavior of your child like hitting, biting, angry yelling, throwing a tantrum, and be specific about their consequences. Once you have chosen the spot, decide how much time your child will spend there. A good rule can be is one minute per year of your child’s age. So, a 2-year-old would get two minutes of time out while a 4-year-old would get four minutes. If you find that the shorter time outs are not having the desired effect, increase the length by half the time. So your 4-year-old would get an extra two minutes, for a total of six minutes. Keep track of time. When you begin using time outs, your child will probably have to visit the area quite often. There is no limit to the number of time outs you can use, but be sensible. Once your child realizes you are firm enough to stick to your words, the need for repeated time outs will probably diminish. The next rule of thumb for time out is that it should be used very specifically. Time outs are for kids ages 2 to 6 years. Older children are better served by consequences such as removal of privileges. Children in time outs need to understand which behaviors are linked to which consequences. Work with your child to establish which behaviors like hitting, for instance, or not complying with instruction from you, can lead to time outs so your child knows what to expect. When your child misbehaves in one of the ways you have discussed, make sure the following time out is immediate, and that you state the reason: “No hitting. Go to time out.” Be specific, brief, and unemotional. This will ensure that your child is able to link their action with its consequence. Delayed consequences are ineffective because children tend to feel you are just being punitive. Kids in time out should be ignored, that is, no talking to them or about them, not even gesturing in their direction, even if they are whining, crying or protesting. By withdrawing your attention during the time out, you are sending the message that misbehaving is not the way to get what they want. The goal in a time out is to make kids sit quietly. 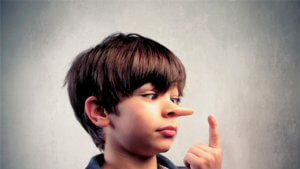 Some experts recommend not starting the allotted time until your child is quiet. Others feel this is too harsh for young children. They require that the child be completely quiet for 5 seconds before ending the time out. This way kids learn to associate good behaviors with the end of the time out and it sends the message to children that yelling and screaming during a time out won’t work. 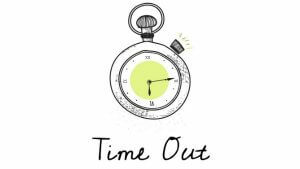 It is tempting to put kids in time out whenever they are acting inappropriately, but using time outs randomly makes it more difficult for kids to make the connection between specific misbehaviors and their consequences. Also, it is important that the time out occurs each and every time the specific target behavior occurs. If not, you are encouraging the child to think that they might be able to get away with it. When you see that your child is on the verge of losing out, say something like, “I’m noticing that you are raising your voice, which often happens before you hit. If you don’t stop, you are going for a time out.” This explanation is important because it helps children become aware of their own triggers. Once the timer or alarm rings to indicate that time out is over, have a quick chat with your child. Ask if they understand why you gave them a time out. Allow them to express their feelings, and then, very briefly, remind them that time outs occur only when they break a rule or need help to tone things down. Praise them for completing the time out, and then go on with life. Your child now has a clean slate on which to show off a newly improved behavior! In order to make it more effective, you need to notice the signs that your child is showing, as in he/she is about to hit someone, raise their voice, throw their crayons, or whatever. It should not be used as a consequence for bad behavior. For one thing, if you have done it correctly, it should have prevented your child from acting out. If you find that time out does not work and your child is constantly on the verge of falling apart, you need to think about the big picture. What to do after time outs? When kids are given time outs for not complying with your instruction, once time out is finished, they should be asked to complete whatever task they were asked to do before the time out. This helps them understand that time outs are not escaping routes. Once the time out is over, you want to turn the attention back on, tuning in to whatever they are doing/working on/playing so that you can “catch them being good” and specifically praise them for positive behavior. For example, if your child completes his time out, and then plays gently with the dog, let them know what they were doing is right. This is reassuring your child that although they had to go to time out, they are also capable of doing good and positive things that make you proud. The Role of Confession in Good Parenting.